I love eating foods with high protein because they help to keep you full for a longer amount of time. 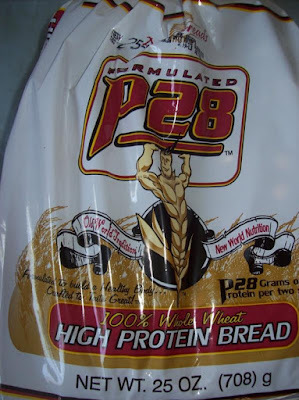 I was very excited to try this very high protein bread call P28 which contains 28 grams of protein per 2 slices of bread!! A major negative of many healthy breads is that they have a tough texture or a bad flavor. This was not at all the case with this bread! It was very soft and chewy and tastes great. My husband loves it too! 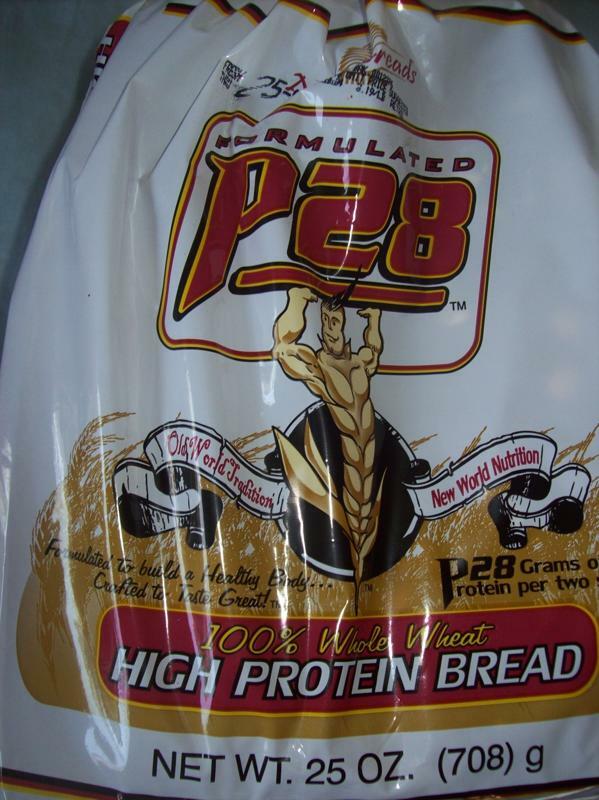 The protein that is in the bread is whey protein isolate which is a high quality protein. Also, the bread is high in fiber, is cholesterol free, and has omega 3 fatty acids! Each slice has 130 calories and two grams of fiber. For me, one slice is plenty because the slices are HUGE!! I cut it in half and made a sandwich with turkey, tomato, pickles, lettuce, and mustard. Yum. This bread is awesome toasted or untoasted (normally I only like bread toasted). I would HIGHLY recommend this bread to anyone who needs more protein in their diet or to people who are vegetarians and have a hard time getting enough protein. The only downside of the bread is that it is quite expensive at $6.43/loaf but compared to other high protein bars and supplements, it really is a good deal. ***The company has given a discount code for $1.00 off per case, and the code is "TNR". That code will be effective starting today. If you live in Syracuse NY area you can buy it for 4.99 loaf because it is local. It also has a very long expiration date. just wonder, it's made with whey isolate which brings on quite important question...don't you think when they bake the bread that all that protein is gonna be denaturated while baking it??? Let alone toasting the bread..
Whey protein can be denatured by heat. High heat (such as the sustained high temperatures above 72 °C associated with the pasteurization process) denatures whey proteins. While native whey protein does not aggregate upon renneting or acidification of milk, denaturing the whey protein triggers hydrophobic interactions with other proteins, and the formation of a protein gel. Heat-denatured whey can still cause allergies in some people.